It was utter panic when I, along with my wife, reached the immigration desk with our Sri Lankan passports at Siam Reap international airport of Cambodia last week. “Sri Lanka…!! Sri Lanka…! !” shouted the immigration officer and his loud voice attracted a few other officers to the counter. They were talking something in their own language and then we were separated from the rest and took into virtual custody. Following accompanied to their main office in the airport building, a senior immigration officer started questioning us. He questioned the intention of our visit and several other details, then photo copied all our relevant documents but slowly became friendly with us. We were allowed to enter the country after this entire process. Some friends who had been there before informed us in advance of this “harassment” by Cambodian authorities towards Sri Lankans, but never expected to this extent. This was extremely embarrassed and humiliating in the presence of others. The situation was not different when we were on our way out at Phnom Penh airport. The immigration officer shouted again and we were taken into special questioning. Of course the poor immigration officer was doing his job, as per the instructions from his government to keep an eye on Sri Lankans visiting Cambodia, though he had no clue on the real reasons behind it. Little he knew that his action was a result of a request made by Sri Lanka itself a couple of decades ago. 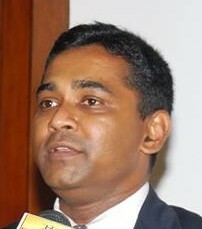 The main focus of this particular request by the government of Sri Lanka was Tharmalingam Shanmugam Kumaran alias Kumaran Pathmanathan – or KP as he was widely known – and his super fugitive underground network. Having realized that his network was extensively active in the Southeast Asian region, successive Sri Lankan governments took every effort to trace and unearth this network and disrupt its activities. KP headed the most important department of the LTTE – international finance and procurement. In short, the entire international operations of the organization. Leading intelligence agencies would put him par with any well-known arms dealer, or rather above them. His profile would certainly be a book by itself, with an unbelievable collection of international operations, misguiding almost all world leading sophisticated intelligence apparatuses. Once the weapon black markets in the Balkans and east Europe shifted to the far-east in mid 90s, KP too shifted his focus to Southeast Asia and established a strong operational network within the region. That included food chains and restaurants in Cambodia and Indonesia, computer hardware shops in Laos, small ad hoc businesses in Myanmar, both underground and open businesses in Malaysia and Thailand and financial businesses in Singapore. Highly corrupt systems in many of these countries and their porous international borders made KP’s life easier and clandestine transportation activities along the Mekong River that connect six countries at a stretch within the region was safe heaven for him to smuggle the weapons up to Thailand or to Malaysia as transit points , before getting them into the northern jungles of Sri Lanka. Once these transit countries – mainly Malaysia –tightened their grip, Indonesia was a better option as the archipelago had many ‘relaxed’ ports. Many LTTE ships that were destroyed by Sri Lankan Navy during the height of the war in the international waters originated from Indonesia. Sri Lankan government continuously requested its Southeast Asian counterparts to be vigilant on KP and on his network and assist Sri Lanka in its efforts to curb terrorism. In late 90’s Thailand arrested some maritime equipment including a primitive submarine belonging to LTTE in Phuket and Ambassador Karunatilaka Amunugama who was then serving in Thailand visited and inspected the arrested items, if my memory serves me correct. The writer still remembers the closed door meeting in 2003 Ranil Wickremesinghe had with then Malaysian Deputy Prime Minister who was also holding the portfolio of Defence Minister Najib Razak [present Malaysian Premier] in Kuala Lumpur. Prime Minister Wickremesinghe advised well in advance High Commissioner Rosy Senanayake to arrange a closed door meeting with Minister Razak for unknown reasons. Later we realized that the intention of this secret meeting was to request Malaysian government to tighten its grip against LTTE and to take steps against clandestine sea roots of weapons smuggling via Malaysian ports. This meeting resulted in several arrests of weapons-to-be-smuggled and their fugitives in Malaysia. In mid-2000, a fully-fledged school was built by Sri Lanka in an extremely poor village called Twantay close to Myanmar’s capital of Yangon – close to Yangon River. 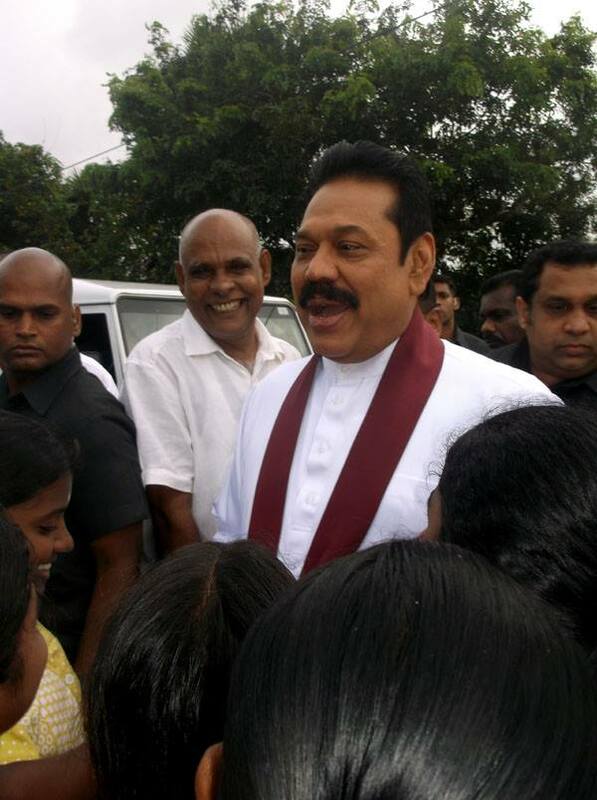 Under the leadership of the then President Mahinda Rajapaksa, then Prime Minister Ratnasiri Wickramanayake has opened the school. Though the plaque says that it was a gift from the people of Sri Lanka to the people of Myanmar, one could easily understand the diplomatic strategy behind the move. The poor riverside village has been a key weapon transit point of the LTTE who used state-of-the art high-speed boats to transport weapons along the Mekong and Yangon rivers, through Twantay canal and bring them to Yangon international port for smuggling. The efforts to help the village, perhaps was to win the hearts and minds of its people to assist Sri Lanka and also probably to send a psy-op message to LTTE. Thus was the sophisticated Southeast Asian network of KP whose name was a key sound-bite on last presidential election platforms. The high-flying international fugitive who had a self-proclaimed motto “catch me if you can” was caught in Malaysia a few months after the killing of Tiger Prabhakaran in 2009. KP was a popular topic on political stage early this year. But hardly we hear of him then onwards; what has happened to him after the polls; whether he is continuing his alleged luxurious life as continuously claimed on election platforms or behind ‘real’ bars and subjected to a proper trial after JVP’s filing of a legal case, we do not know. But one thing we certainly know of is that his network is not that sophisticated anymore. Though the US annual country report on terrorism claims that LTTE’s financial (and some international political) networks are still active, it is not in a position to engage in comprehensive arms smuggling and such similar operations. 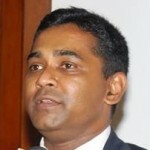 Of course, military defeat in Sri Lanka does not mean that it was uprooted in total elsewhere. Diaspora and LTTE political activities are scattered but active in many parts of the world. Hence, it is high time that Sri Lanka conducts a full-scale review on the situation and revise the requests made from foreign governments. It is important that they keep a close eye on those fugitive operatives but not at the expense of the dignity of its own citizens who face immense embarrassments, just because they are carrying Sri Lankan passports. Especially at a time where such rigorous watch-out is no more required. I do not think Sri Lanka deserves to be in the same category of Iraq or Syria, as the Cambodian immigration officer claimed.